We here at ST Minibus Hire Manchester know how difficult and stressful it can be to travel to or from an airport. Most people don’t want to take their own cars because that means leaving them there. That’s expensive as well as highly unsafe for the car. We want to make the journey as safe as possible for you. most of the North West when it comes to air travel. 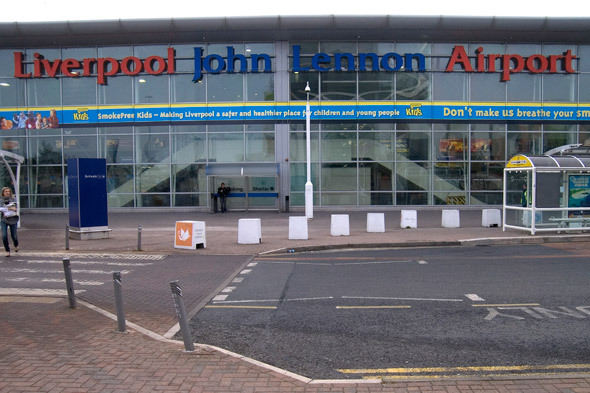 If you’re taking a flight and you’re from that area you’ll probably be leaving, and returning, through John Lennon airport. The amount of distance the airport covers is also another reason choose a minibus service like ours. When you consider the fuel costs, as well as all the other costs such as time and effort, it’s usually cheaper to book a minibus as well as a lot less stressful. We also take care of the stress of a return from holiday. If you book a return visit then we will take care of absolutely everything and remove another great stress. We monitor your flight time when you come back to the UK and make sure that one of our cars is waiting at the airport when you get back. You can count on us to be professional and reliable and be there for you to make your holiday as smooth as possible. When it comes to having a lot of luggage or needing to make a lot of stops we have you covered there too. Our cars are pretty big as they are but we also have luggage trailers meaning that we can cover you in any situation. Our main goal is to take away all the stress and annoyance of travel so that you can focus on enjoying your holiday. We do transfers from a number of airports and not just from Liverpool John Lennon airport. Be sure to make an enquiry today about hiring a Manchester Minibus to take you to and from an airport the next time you have to visit one as part of your holiday. We understand that it’s a stressful enough process as it is and doesn’t need the added stress of worrying about travel. You can either call us or use our online booking form to hire one of our professional drivers today.